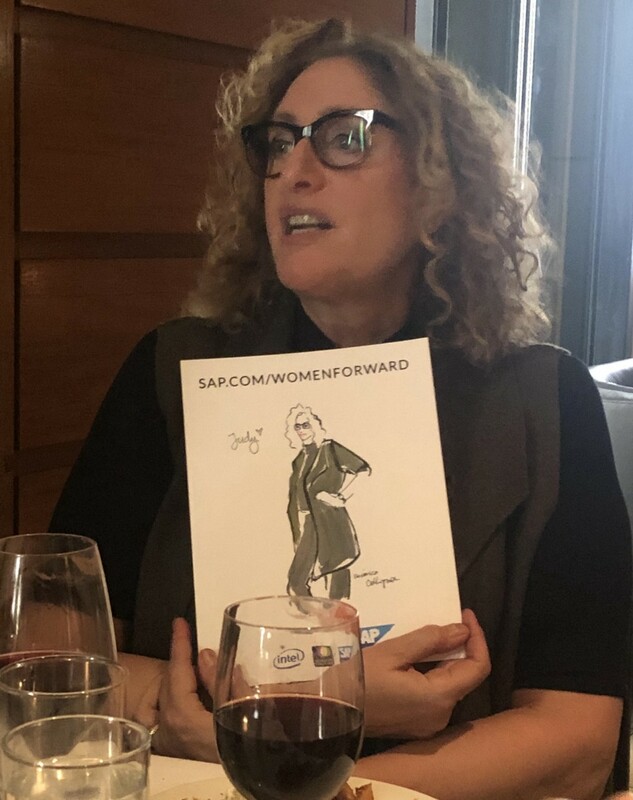 This article was originally published in the SAP Women Forward website. Thanks to SAP for permission to republish. During this introspective time of welcoming a new year, let’s savor the now. This moment. All that’s happened for women at work and in society, all that’s changed, and the work we still have to do. I had a unique chance to experience how SAP is embracing the opportunity of this historic moment. They’ve traditionally looked for B to B influencers to cultivate female clients for their technology solutions, a representative told me. Now they’re building relationships in a more holistic way through their Women Forward program. Women have been almost half the workplace for some time, and the business case for women’s leadership continues to grow in salience. The evidence is clear that companies with more women in leadership make more money. For example, a Peterson Institute for International Economics study reaffirmed this past year what other studies have found, that profitable firms with 30% or more women in their leadership experience on average a 1% increase in net margin, representing a 15% boost in profitability. 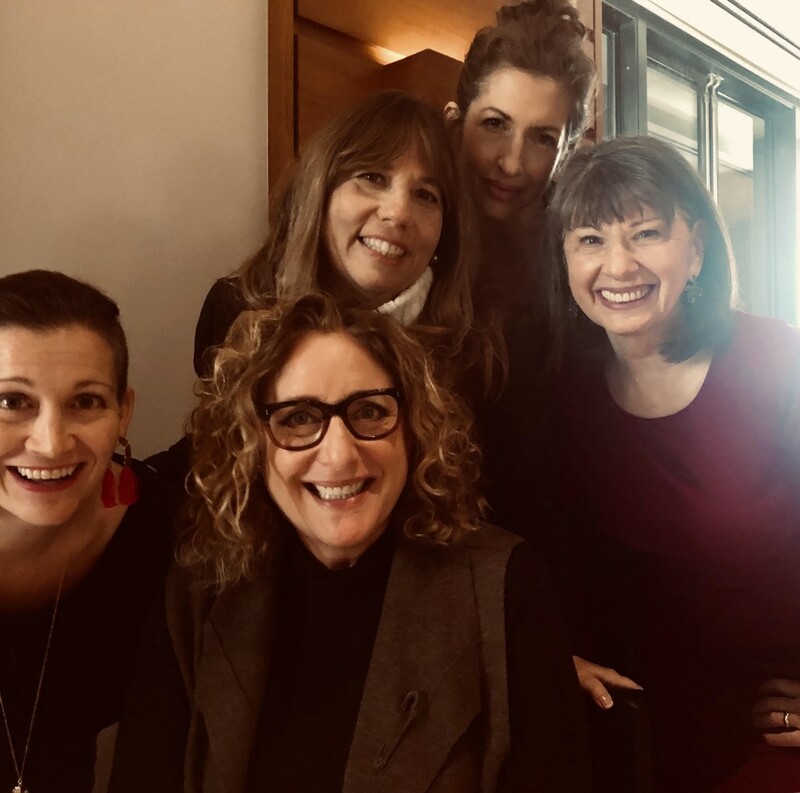 My dream table at the SAP Women Forward event at Fred’s in Barney’s NY: l-r: Amy Emmerich, Judy Gold, Robin Bronk, Alysia Reiner, and me. The #MeToo movement inspired women to find their voices and share stories that had been hidden for so long. The sea change it brought means company cultures must change too. Parenthood, motherhood in particular, is being normalized rather than automatically derailing careers. Serena Williams changed the rules for athletes who become mothers, as did Senator Tammy Duckworth for mothers in elected office. We just sent an unprecedented 127 women to Congress. And yet, there are other moments when it seems we are going backward. What’s up? And what do we do to keep the forward motion while mitigating the backward trends? What does it all mean, what’s next, and how do we move forward? I was asked to speak on a panel at the Women Forward event. I entered a hyper-energetic room at the posh Fred’s restaurant at the iconic Barney’s New York department store on a chilly December night. The room was buzzing with influential female clients from large companies as well as smaller ones. Represented were the likes of the candy (and as I learned, pet food) company Mars, media conglomerate Viacom, and an array of pharmaceutical and tech giants. The program felt more like a movement than a sales strategy. Building a community of accomplished women is the central focus, with a narrative around purpose and how women can show up at work and in the world. I enjoyed reconnecting with people like Dr. Julie Gerberding, who headed the Centers for Disease Control when I was President and CEO of Planned Parenthood Federation of America. We met originally almost 15 years ago when we were both honored as Glamour Woman of the Year. 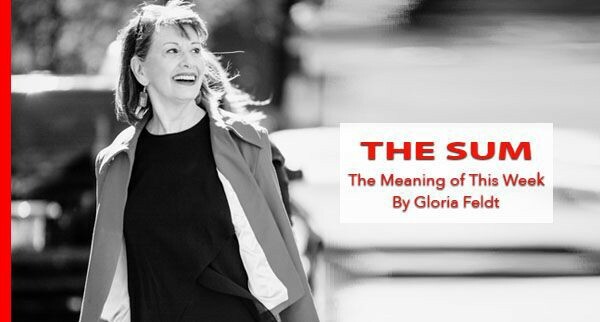 Now she’s Executive Vice President for Communications and Global Population and Chief Patient Officer for Merck and I’m cofounder and president of Take The Lead, whose mission is nothing less than gender parity in leadership by 2025, almost 150 years faster than the World Economic Forum says it will take. 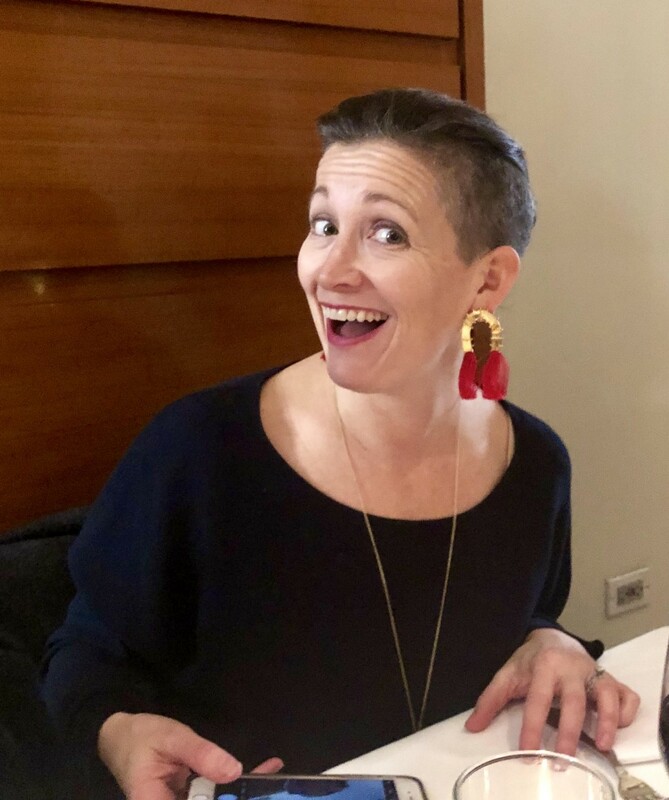 Refinery 29 Chief Content Officer Amy Emmerich rocking some fabulous earrings while rocking the room with smart advice. I’m optimistic we’ll reach parity in position, power, and pay much faster than predictions, largely because of women like Julie and others I met that evening. These are women who have had or will have more than one “big job” in their career trajectories. They are both ambitious and intentional about their ambitions. Equally important to their stellar achievements, they are generous and inclusive of other women, willing to share their tips for success and consistently offering to help one another. I know I left with a wad of business cards from people genuinely interested in my work for gender parity in leadership, asking how they might get involved. The women I spoke with were focused and serious about their work but didn’t take themselves too seriously. Of course, the fact that I was seated at dinner near the comedian Judy Gold, who moderated- or more accurately, stirred up- the panels, might have colored my view. Judy Gold admiring Judy Gold while we all admired her. Gold asked several trenchant questions such as querying Aliza Licht, EVP of brand Marketing and Communications for Alice + Olivia whether she judges other women’s clothes. She asked Angela Mangipane the president of Mars Global Services that critical question, “Why do frozen Milky Ways taste so good?” Then she’d dive into the serious questions like how we counteract ageism and sexism in the workplace, with an edge of political commentary here and there. Mangipane shared several gems. She acknowledged that age and experience have enabled her to care less about what other people think. That enables her to focus on doing what she believes is the right thing to do. She’s discovered a well-kept secret: as she has moved up the ladder of responsibility, she has more control over her schedule and her worklife rather than less. This is comforting to many young women who fear loss of flexibility when contemplating their own career and family life goals. 1. Enough women have been in high enough positions for long enough now that companies have a critical mass of female clients who are sophisticated leaders in powerful roles. Companies need to design client cultivation, loyalty building, and B to B influencing that appeal to women who are highly intentional about their career growth. 2. Women value relationships that align with their higher purpose. Though that may vary from woman to woman, most are looking to work with companies that express their own higher purpose or values in their actions. From the companies’ program design perspective, this may influence choice of topics, level of speakers, and/or alignment with a charitable cause. At the Women Forward event, for example, Robin Bronk, president of the Creative Coalition shared her nonprofit creative arts advocacy organization’s mission and invited support. 3. Smart companies like SAP realize the above and dispense with traditional cultivation events for women that focus primarily on fashion and frippery (I recall once being invited by a bank to an event where sequined silver shoes with five inch heels and garish bows were the come-on to an evening of wine and, you guessed it, designer shoes — eew). While some women enjoy golf and other activities traditional to men, female clients appreciate substantive content and opportunities for meaningful community building. That doesn’t mean such events are devoid of fun; indeed, just the opposite; however, it’s important to provide fun with a purpose, fun with useful learning, and fun that garners beneficial connections. I believe she and all the women at SAP’s Women Forward event will do just that.